After starting with my WoW inspirat Mod, i thought it would better to just change the graphics of the interface, so that it should resist all future updates and changes in the xml-files. Just download the zipfile and andzip it into your Everquest 2 Directory, keeping the directorystructure intact. This will ONLY change the look of the original Grafiks to a stony one, inspired by World of Warcraft. It should work with all other addons that do work with the default UI, as it does not include any XML-file, only changed dds-files with the graphics. i really really love this UI recolor, but i cannot seem to get EQ2maps to work with it, do you have any way to make them compatible? Awsome work man! 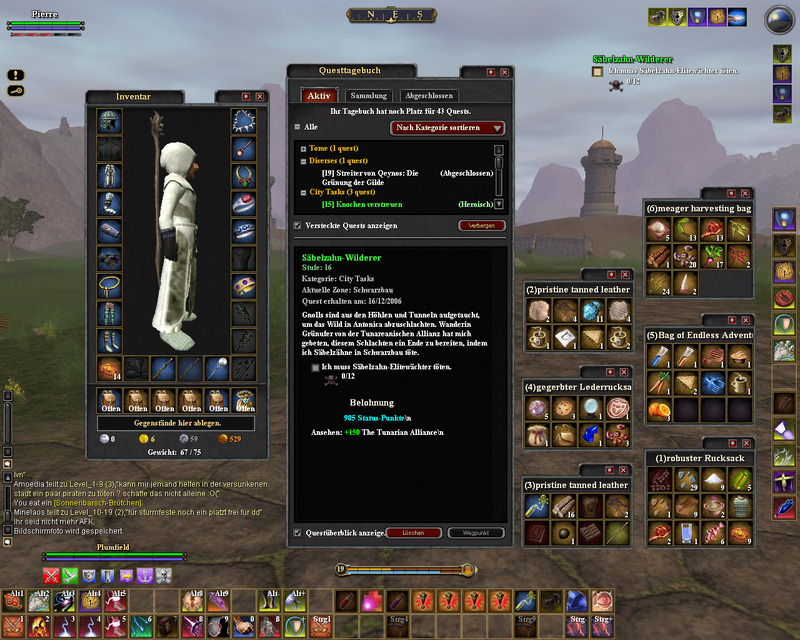 I always felt EQ2 was lacking some asthetic elements to make the UI more inviting, the thin, flat, cold angular shapes that made up the UI clearly lacked the soft, rounded warmth that the wow UI has. By changing your mod to this method I am deffinitly adding it to my favorites list!